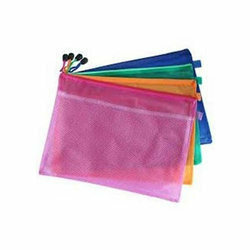 Justifying our reputation in this market, we are readily immersed in the arena of offering to our patrons a broad consignment of LDPE Bags. Being one of the noticeable firms in the market, we have been able to present our prestigious customers a qualitative diversity of LDPE Polythelene Bags. Male- female type moulded ziplock welded inside top of pouch. The ziplock holds good for upto 50 operation. 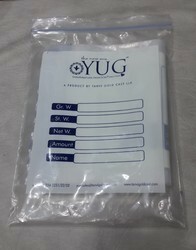 Recomended for reclosable pouches.